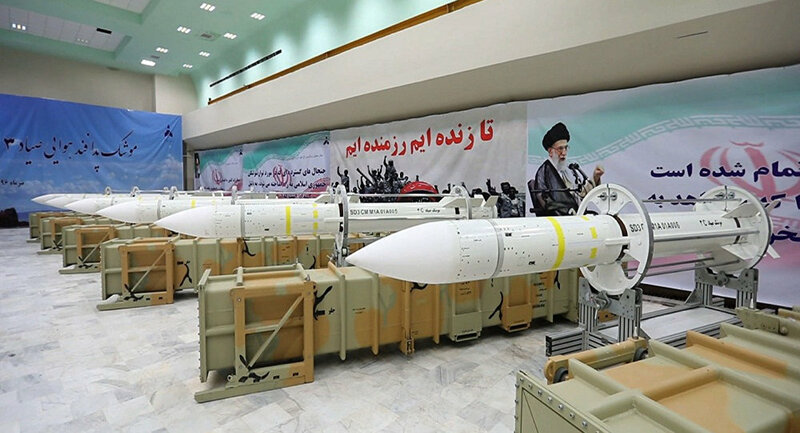 The chief commander of Islamic Revolution Guard Corps said that there is capability to increase the range of Iranian missiles, but it is sufficient now. MOSCOW (Sputnik) — The range of Iranian missiles is sufficient to strike the US forces deployed in the region in case they attempt any aggressive steps against Iran, Maj. Gen. Mohammad Ali Jafari, the chief commander of Islamic Revolution Guard Corps, said Tuesday. "There is the capability to increase this range, but it is sufficient for now as the Americans are present within a 2,000-kilometer [1,240 miles] radius around the country, and would get a response in the case of any invasion," the IRGC chief commander was quoted as saying by the ISNA news agency. Jafari added that Washington feared the possible war with Iran, in which the United States is likely to be defeated. The relations between Iran and Washington have been extremely tense over the past several months over the Iranian nuclear deal and the imposition of new US sanctions on Iran. On Thursday, the US House of Representatives approved a new package of sanctions against Iran, targeting its ballistic missile program, prior to which US President Donald Trump refused to re-certify the Joint Comprehensive Plan of Action, the agreement signed by six nations after years of diplomatic work, accusing the Islamic Republic of violating the spirit of the agreement. Despite the fact that Trump decided not to contest at the international level Tehran's compliance with the deal, he has not excluded the US' possible withdrawal from the deal in case if the agreement is not improved.